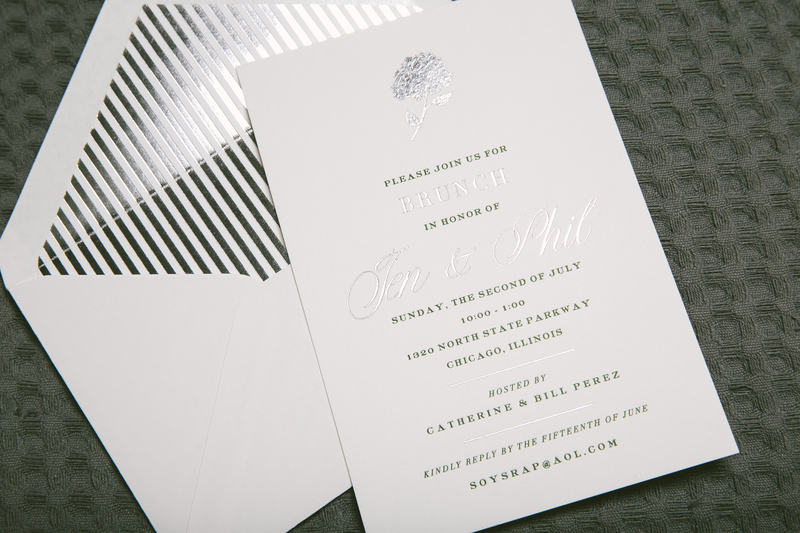 Our friends at Uptowne Papers helped Jen and Phil create these elegant foil-stamped brunch invitations printed in Silver Shine foil along with Vine letterpress. They used the same font combination from our Exeter design, but with their own tasteful twist. 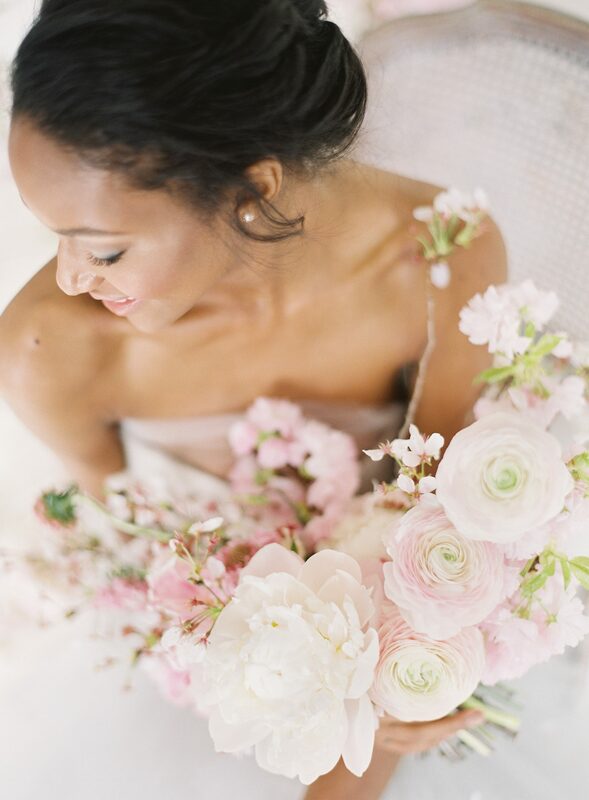 The sweet floral motif at the top of the invitation added a hint of romantic interest to a more simple overall design.